We recently announced integration with Zapier.com which allows you to connect your Knack app with hundreds of other services. We’ll be highlighting a few key services and how you can use them with your Knack online database. One of the more powerful services available is the Zapier Email Parser. 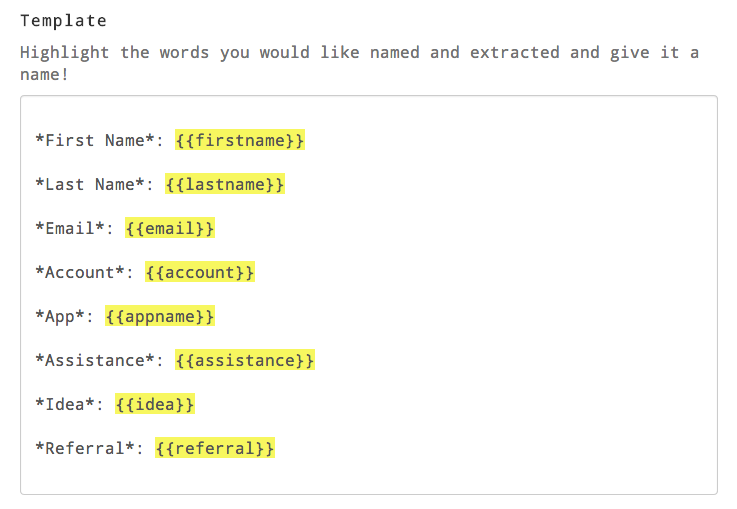 So what’s an email parser? Good question – it allows you to identify fields and content from an email and map them to match fields in your Knack app. In other words, you can convert any email into a new record in Knack. Add records from contact and lead forms by parsing the form submission emails. Track expenses by parsing invoice and receipt emails. Allow users to submit records to your database by sending an email. Great for simple records like tips, comments, suggestions, or even calendar events. Add records with emails from your phone when you’re on the road or have limited internet access. Great for tracking receipts, mileage, or expenses. Parse social media emails to record testimonials, comments, or quotes. If you are like me you often receive random emails that should be captured as a warm lead. The email parser makes it easy to pull the information you value from the email and create a structured record in Knack. With the email parser you can extract data like the contact name, date, company they work for, email address, phone number and even some body content within the email. To send this data to your Knack CRM app, you simply forward the email, unchanged, to your parser email address. Zapier matches the parsed fields and inserts a new contact record into your app. How do you setup the email parser? This actually creates an email address you can use to auto-forward email or set as the address for your website form submissions. Where you see firstname, an actual name existed just prior to highlighting. Then it parsed this into a field name that you can now match to your fields in your Knack app. You can see more “Zaps” like these here. the simple online database and web app builder.